PONTIAC, Ill. - A neighbor said Saturday she saw an Illinois woman shoot at her 10-month-old baby before apparently killing herself. Authorities have said five people, including two children and a baby, were killed in a murder-suicide, but they haven't identified the shooter. 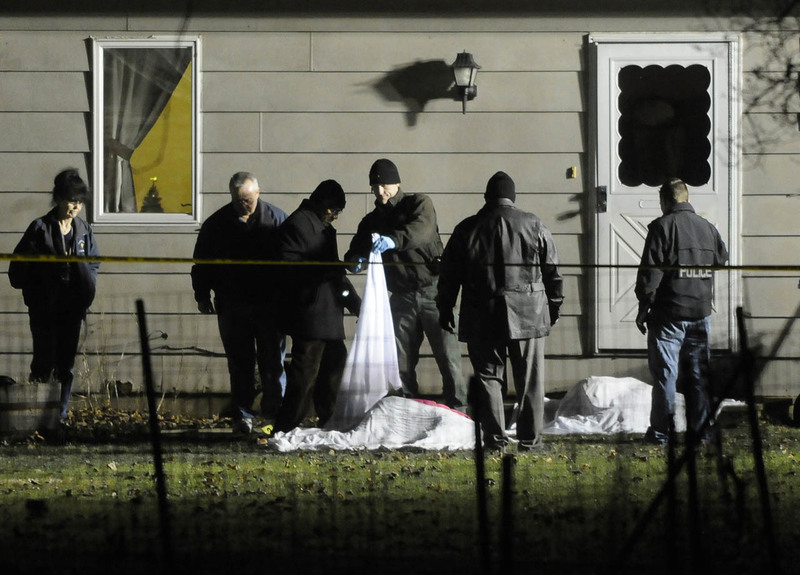 The bodies were found Friday in Emington, a small farming community about 80 miles southwest of Chicago. Neighbor Annelise Fiedler told The Associated Press that she heard a round of shots Friday afternoon and ran outside to her backyard. She saw 30-year-old Sara McMeen in the next yard over hovering over her baby as if she'd dropped her. Fiedler asked McMeen if everything was alright, and "she looked at me and said, 'No, everything is not alright.'" McMeen fired a shot at the infant, "and then I just ran," said Fiedler, a town trustee. Fiedler said she didn't see or hear what happened after that, and she didn't see any of the other victims. Along with McMeen, Livingston County coroner Michael Burke identified them as 29-year-old Daniel Warren, 8-year-old Skyler Lemke, 7-year-old Ian Lemke and 10-month-old Maggie Warren. Livingston County Sheriff Martin Meredith said all the children belonged to McMeen, and he described Daniel Warren as her live-in boyfriend. Meredith said a semiautomatic pistol was recovered at the scene. The sheriff, a father in his first year in office, called the situation "very gut-wrenching." Neighbors have said the family moved to Emington in the last few months. Meredith said the two older children attended school in nearby Saunemin, where Skyler was in second grade and Ian was in first grade.